You are in command on a WW2 Class Submarine, YOUR MISSION: Seek and Destroy enemy ships. The Campaign will start after at least 1 player has played and submitted a score to the leaderboard then, for every new highscore registered, a 24H countdown will reset. At the end of the countdown, the 8 best players ranked on the leaderboard will share the Treasure proportionally to their scores and everybody will receive their prizes. 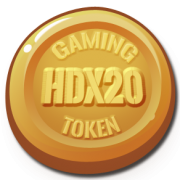 Every time you buy new torpedoes, 5% of the price will buy you HDX20 Token, which you can resell anytime, earning you Ethereum from the volume of any HDX20 POWERED GAMES (visit hdx20.io for details) while 20% of the price will buy you new shares of the game. Please remember, at every new buy, the price of the share is increasing a little and so will be the value of your shares even if you are not a winner, therefore, buying shares at the beginning of the campaign is highly advised. You can withdraw any owned amount at all time during the game and play multiple times to improve your score. Our Blockchain SmartContract IS the market and makes sure that the HDX20 Price never falls below its current selling price thus offering a unique CONTEXT where risk is known at all time and limited to the IN and OUT fees only. https://hdx20.hdx20.io/wp-content/uploads/2019/03/hdx20token-1.png 292 297 hdx20 https://hdx20.hdx20.io/wp-content/uploads/2019/03/hdx20token-1-180x180.png hdx202018-11-30 15:14:342019-04-10 15:18:29INTRODUCING "TORPEDO LAUNCH" the first skill-based Submarine Arcade Game on the Ethereum Blockchain !